This is a beautiful deciduous large shrub. 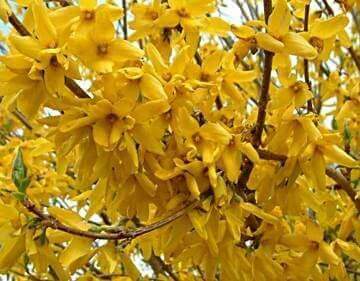 It has masses of yellow flowers in Spring followed by green leaves. Height 2 - 3m. Width 1.5m.